We strive to deliver the highest quality product to our customers. We look for the simple solutions to help make your daily life easier. Each product is handcrafted and stained by us. Quality and precision is key to our success. Everything is measured and cut to a precision that is unprecedented with typical retail mass manufacturing. With our products being handmade allows for that nice unique touch that makes the same product different for every customer. Jay Brown has always had a unique touch to wood products, it wasn’t until his son Steve started his online business (Superior Stickers). That is when he realized that he could deliver the same quality product to all of Steve’s customers that he gave to local projects. Jay has always been a handyman, and as a typical father he passed that down to his son. With Jay and Steve working together making products that you can use to improve your day it only made sense for them to add the online aspect of the business. They want the same products that they use every day to be in your homes. 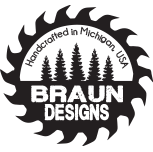 Everything at Braun Designs is made by us, in-house so we can make sure quality and precision is spot on. 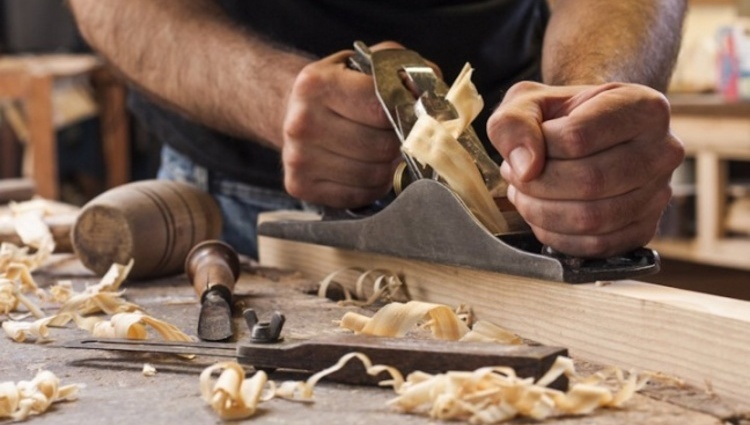 From product design, to sanding, to staining, to the final packaging we do it all.